Circa 1901. 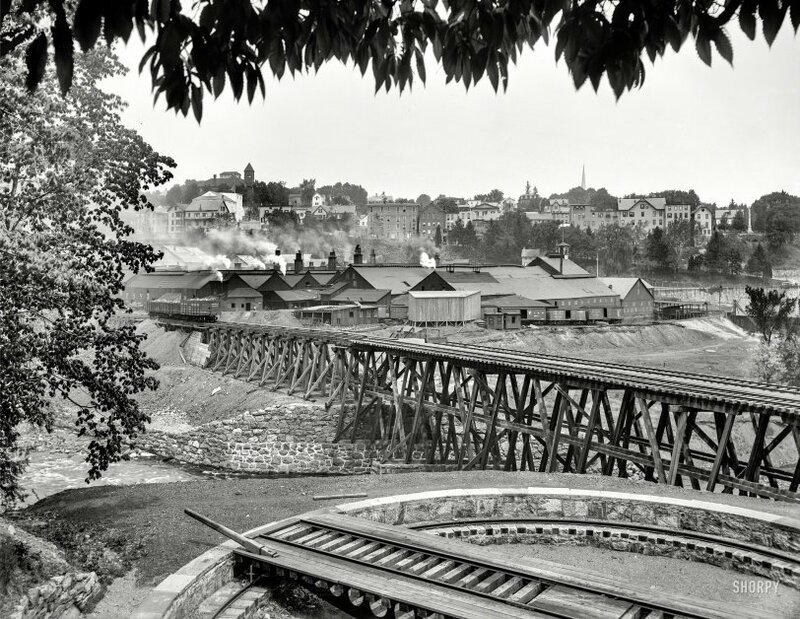 "Railroad tracks and trestle at Boonton, New Jersey." 8x10 inch dry plate glass negative, Detroit Publishing Company. View full size. Submitted by Vidiot on Thu, 10/26/2017 - 7:15am. While the frame structures have mostly vanished, the number of very old buildings still in use is striking... actually powering a bit of a hipster influx these days. 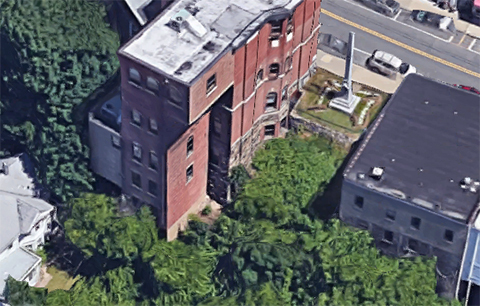 The Civil War monument at right still stands; and the legacy of the Delaware, Lackawanna & Western infrastructure is seen today in commuter and freight traffic, plus the shops of the Morristown & Erie Railroad, a relatively young shortline, which undertakes refurbishment on historic stock as a sideline. Submitted by rhhardin on Thu, 10/26/2017 - 5:26am. The hill is still there, the town at the north end of the Boonton reservoir, so-called, a practice area for student pilots in the 50s, with an island to work at circling in a wind and nobody on the ground to annoy with the air work overhead. Submitted by bob523 on Thu, 10/26/2017 - 3:48am. The toothed leaves silhouetted at the top of the photo look to be American Chestnut, just a few years before the blight that was to wipe them out was introduced. Submitted by Crownstay3830 on Thu, 10/26/2017 - 2:17am. The turntable was built by William Sellers and Company of Philadelphia. Well built and easy to use, properly maintained they last a long time. They were widely exported to countries like Japan and Australia. My depot still has one, although it's currently out of use. 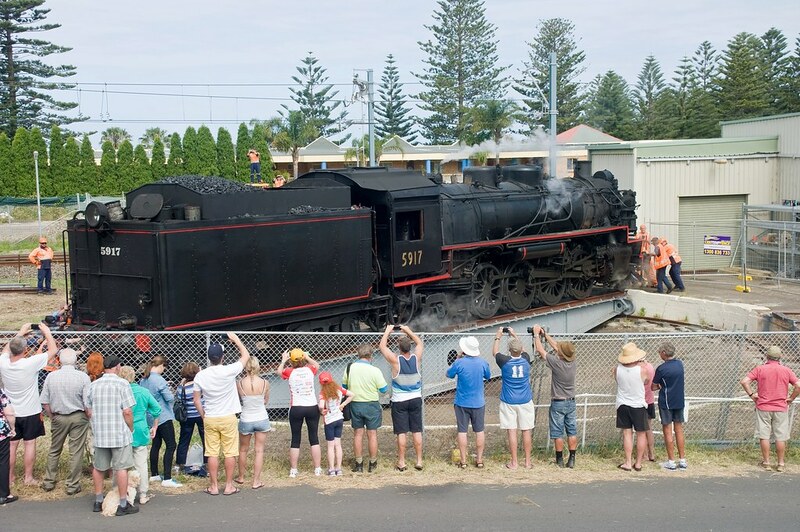 Down the line at Kiama the 60' Sellers turntable is still used to turn the loco when the picnic train is steam hauled. Even though they're known as "Armstrong" tables, if the loco is properly balanced they can easily be turned by one person. A contemporary description is here. Submitted by signalman on Wed, 10/25/2017 - 4:09pm. The track is under construction. The trestle to the left is temporary, and is in the process of being filled in. The cars on the temporary trestle are delivering the material for the fill. Submitted by lil gay boy on Wed, 10/25/2017 - 2:11pm. My high school cafeteria was stocked full with it, not to mention our summer home. Incredibly sturdy plastic dishes. My dad used to joke that those apocryphal cockroaches that would survive a nuclear war would be dining off them. Still around, although no longer made in Boonton, New Jersey, but a few hundred miles away in Ashtabula, Ohio. Submitted by ManyBuicks on Wed, 10/25/2017 - 1:31pm. Turntable is of the Armstrong style still used even in recent installations, i.e. Great Smoky Mountains Railway in Bryson City, NC. Siding ending on the trestle is certainly unusual. Submitted by J W Wright on Wed, 10/25/2017 - 1:07pm. Submitted by TheGeezer on Wed, 10/25/2017 - 11:05am. The trestle is great, but I love the turntable. What a project for a modeler!